Gemstone Details: 252 Round cut black sapphires, of exquisite color weighing 3.86 carats total. Necklace Details: Charles Krypell sterling silver design with a textured finish. Measurements: Bead chain measures 17 inches in length. 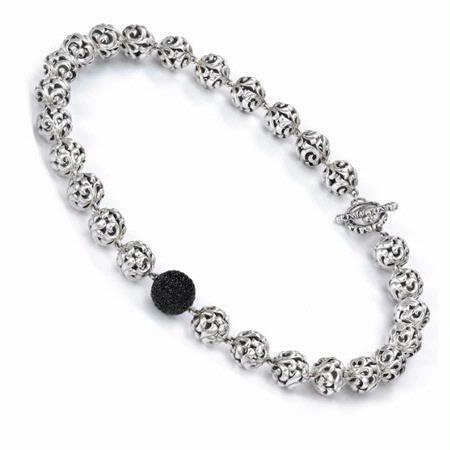 This magnificent Charles Krypell sterling silver bead necklace features 252 round cut black sapphires, of exquisite color weighing 3.86 carats total. This bead chain measures 17 inches in length.